J. Sevcech and M. Bielikova. Repeating Patterns as Symbols for Long Time Series Representation. Journal of Systems and Software. Vol. 127, May 2017, 179-194. O. Kaššák, M. Kompan and M. Bielikova. Student Behavior in a Web-Based Educational System: Exit Intent Prediction. International Scientific Journal Engineering Applications of Artificial Intelligence. Vol. 51, May 2016, 136-149. M. Virik, M. Simko and M. Bielikova. Blog Style Classification: Refining Affective Blogs. In Computing and Informatics. Vol. 35, No. 4, 1027-1049. 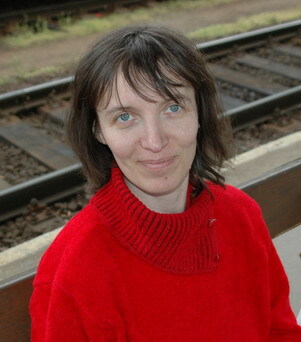 Maria Bielikova is a full professor in program and information systems at the Slovak University of Technology in Bratislava. She is a head of User Experience Research Centre at the same university. The Centre is aimed at exploring human computer interaction including various aspects of human behaviour specifically in the Internet and Web-based environments. In her research she is primarily interested in the Internet, the Web, user modelling, personalisation and all related issues that continuously change our society. These topics are related heavily to the access and use of vast amount of data produced nowadays.